Psst. Know The Secret For That Tender Steak? For years, we’ve been on the search for finding that tender cut of meat that we get at the restaurant and from specialty steak suppliers. 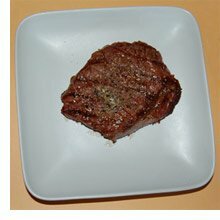 We’ve bought steaks from gourmet shops, organic farmers, organic grocers, high end grocers, and so on. Yet, we never seemed to get a tender steak. We tried USDA Choice and USDA Prime cuts, which made no difference either. We almost gave up on the idea believing that that restaurants had a specialty supply of select meats. Then one day recently, the light came on and we discovered the secret. We’ll tell you in just a second what the secret is and when we do, you’re going to say, duh! And it’s a big duh, something we all should know and in fact do know about. The secret is, (ready?) Adolph’s Meat Tenderizer. See, it’s something you know about, probably have in your kitchen cabinet and most likely don’t use very often. 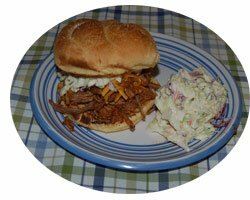 But you should use Adolph’s often and on every steak you barbecue this summer. Oh, one more question. Ever wonder how that barbecue joint makes tender baby back ribs and beef brisket? The answer to that question is that they use Adolph’s Tenderizer. That’s it. 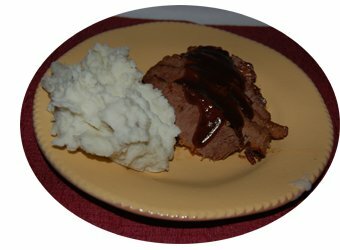 So break out that bottle of Adolph’s Meat Tenderizer this weekend, sprinkle a little on both sides of the steaks. 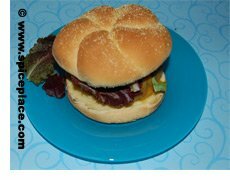 Use about 1 tsp of Adolph’s per pound of meat. If you have one, prick them with a corn on the cob holder, otherwise use a fork. Then season as you desire, and they’re ready to grill immediately. You may cover and refrigerate for 2 – 3 hours for more tenderizing but that’s usually not necessary. Adolph’s is made from the Papaya, is all natural and contains no MSG. It’s a little bit of magic in a bottle. What are you waiting for? 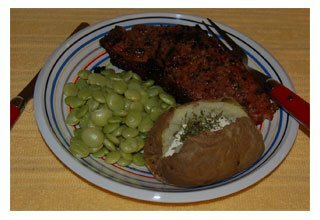 Light that grill and be surprised with how you can now make those tender steaks like you get when you eat out at that expensive restaurant and without paying $20.00 a pound for them. Try it! You are certain to be amazed. McCormick’s Big and Bold Monterey Style Seasoning has become a favorite seasoning of ours. It’s a mix of coarsely ground garlic, red bell pepper, roasted garlic, red pepper, and contains tumeric and annatto for adding a yellow color to foods. We find that the yellow color adds a pleasing and appealing look to chicken. 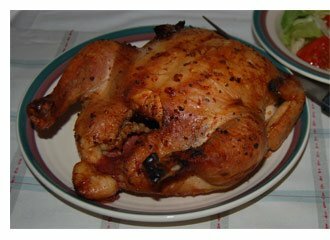 So today we’re going to share our recipe for making a barbecued whole chicken seasoned with McCormick’s Monterey Style Seasoning along with a little bit of chili powder. Wash the chicken under cold water and set on a plate to allow excess water to drain off. Place the Monterey Style Seasoning and Chili Powder in a cup. Add sugar, water and vinegar. Stir to mix well. Put the whole chicken in a one gallon size freezer zip-loc storage bag. Dump the seasonings over top of the chicken, seal the bag, and flip over a few times to distribute the seasonings. Place the chicken in the refrigerator and marinate for about 2 hours turning over every 1/2 hour so the seasonings evenly infuse the chicken. 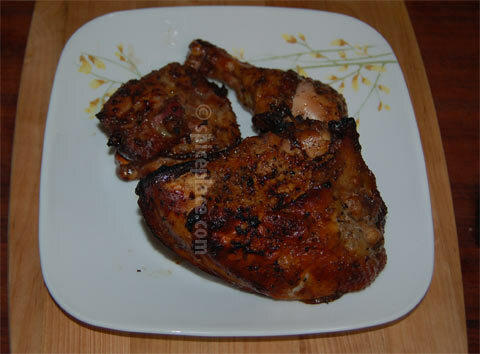 Since this is a whole chicken, it needs to be cooked indirectly so it cooks slowly and completely. So place the charcoal on only one side of the grill. Light grill. 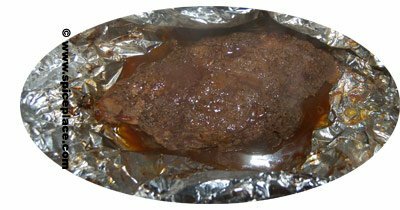 Remove the chicken from the zip-loc bag, and place into a disposable heavy-duty aluminum pan that has the bottom lined with non-stick aluminum foil. We use the disposable pans because the smoke from cooking will permanently mark a real roasting pan. When the grill is ready, place the chicken on the side away from the heat, cover and cook for 1 to 1 1/2 hours or until the internal temperature of the chicken is about 170° F. For proper food safety, it’s very important that a meat thermometer is used to make sure the chicken it cooked thoroughly to prevent illness from under cooked chicken. Let the cooked chicken sit for 10 minutes before carving or else you’ll find you have shredded chicken (instead of sliced chicken). Up until recently, we’ve always relied on charcoal lighter fluid to light our charcoal. And we’re charcoal enthusiasts, so all we cook with is charcoal. We’ve watched a few of the Dutch Oven and Camp Cooking shows with Cee Dub which is shown on RFD-TV and noticed he always used the charcoal chimneys to light the charcoal for his dutch ovens. So we were out shopping one day last summer, and noticed a charcoal chimney section at the local store, and bought one. This was the best find for the summer barbecue. In our pictures here, we are using Cowboy Brand Hardwood Charcoal. 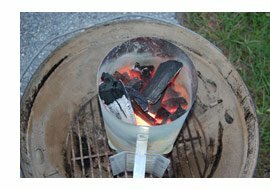 The same method works with Kingsford or other lump charcoal brands. A Charcoal Chimney charcoal lighter is a metal tube about 12 inches long, and 6 inches in diameter. The bottom of the Charcoal Chimney has vents, and a grate sits about 2 inches above the bottom. In the bottom of the Charcoal Chimney, under the grate, you place some crumbled newspaper under and the top of the grate supports the charcoal. In our picture here, you can see we’ve placed some crumbled newspaper in the section of the charcoal lighter that’s under the grate. 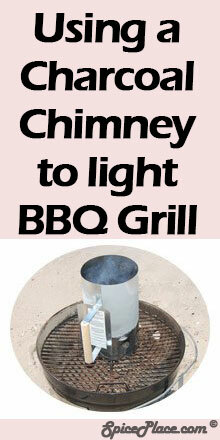 Place the charcoal chimney on a fire proof surface before you light it. We use the bottom grate of our Weber grill. Light the newspaper through the vents in several places. 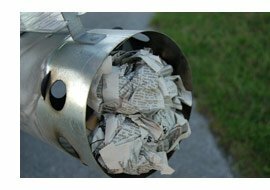 If you are in a location where it’s really windy (15 – 20 mph), a little bit (1/2 oz) of charcoal light fluid can be poured onto the newspaper to help get it started. We use that method when we’re cooking lunch on the beach. In most cases, a simple lighting in 3 or 4 places will do. The newspaper will smoke, burn slowly, and the heat from the newspaper will be funneled up the chimney, and heat the charcoal to light it. In the picture to the right, you can see the smoke from the newspaper rising from the Charcoal Chimney as the newspaper heats the charcoal. It takes 10 – 15 minutes to start the charcoal. Perhaps a little less time if you’re using Cowboy Brand hardwood charcoal. As the charcoal at the bottom of the chimney lights, it will add more heat to the rising column of heat going up the chimney, and will light the charcoal all the way to the top. Here’s a picture of the charcoal all ready to be dumped out onto the charcoal grate. The handle of the chimney is made of wood, and has a heat shield to protect your fingers. Even with those safety factors, please use caution when dumping the charcoal out of the chimney onto the grate of your grill as the chimney itself will be very hot. You should also have a place to set the very hot charcoal chimney on after you empty the charcoal from it as it will be very hot for many minutes. 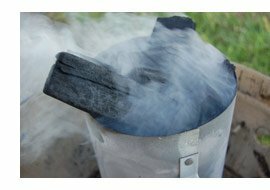 We’ve had great success using our charcoal chimney to light our grill, and wish we had found this magic device 10 years ago.